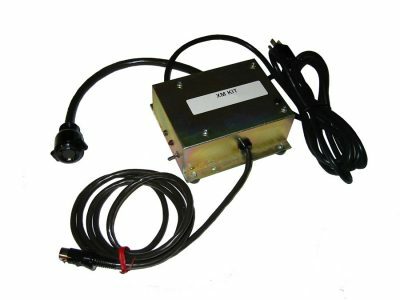 This adapter is used to connect any single channel Hammond product with an 8-pin Leslie output such as our XM-2 and Drawbar module. THIS ADAPTER WILL NOT WORK WITH THE Sk SERIES or XK-1c. Keyboard to single channel 11-pin Leslie speaker models 122XB, 771, 330, and 860.